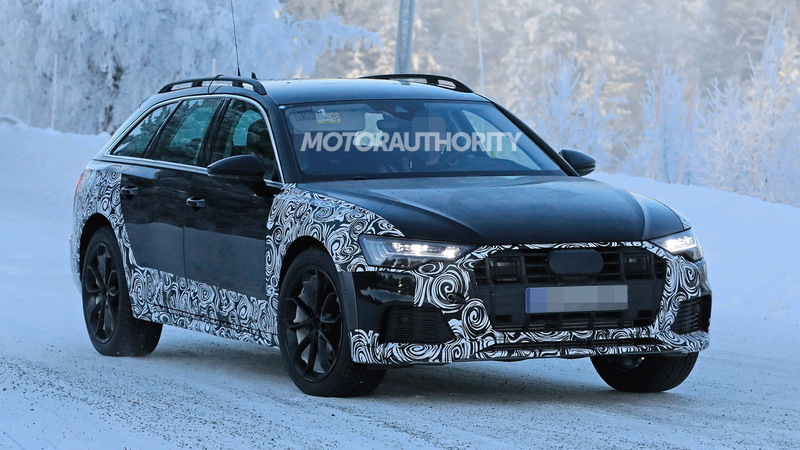 Audi engineers are hard at work developing a redesigned A6 Allroad soft-roader, and one of the prototypes has just been spotted. The A6 Allroad is a high-riding wagon with all-wheel drive and underbody protection, providing buyers with an alternative to the ubiquitous crossover SUV. Other Allroad traits include steeper approach and departure angles as well as adjustable suspension with self-levelling. We get an A4-based Allroad here in the United States but Audi has tended to offer Allroad versions of both the A4 and A6 in other markets. 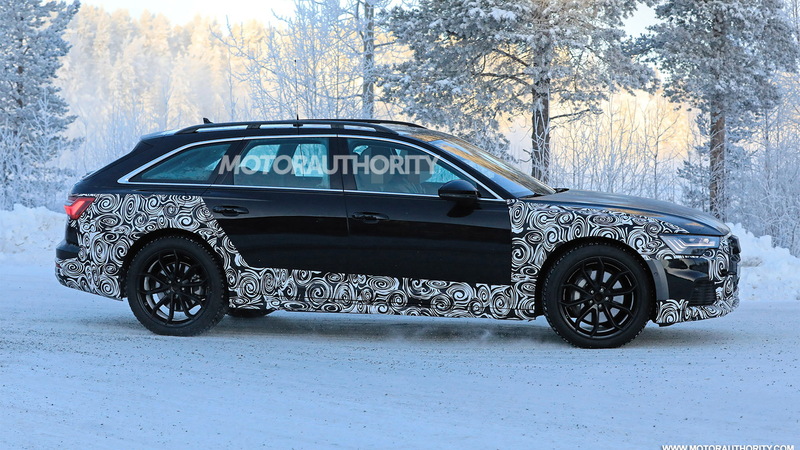 This A6 Allroad is designed to go up against the Mercedes-Benz E-Class All-Terrain and Volvo V90 Cross Country. 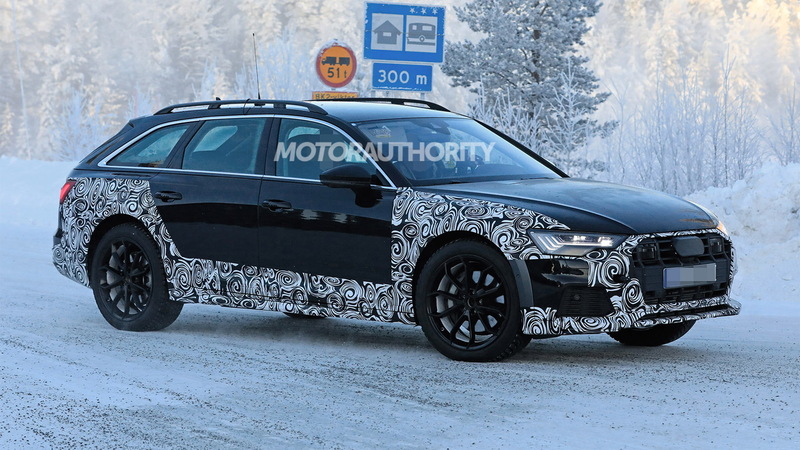 Audi has already revealed a new A6 Avant (shown below), which means the more rugged A6 Allroad can't be far. Underpinning the new A6 range, including the Allroad, is the latest evolution of the Volkswagen Group's MLB platform for front- and all-wheel-drive cars with longitudinally mounted engines. The platform brings weight savings, extra space in the cabin, and compatibility with plug-in hybrid options. The new A6 in sedan guise is in showrooms now, having arrived as a 2019 model. There's just one powertrain at the launch: a 3.0-liter turbocharged V-6 with mild-hybrid tech. The engine is paired to a 7-speed dual-clutch transmission and delivers 340 horsepower and 369 pound-feet of torque. Expect this engine along with a diesel or two to be offered in the A6 Allroad in markets where the car is sold. Unfortunately, there's no word on whether Audi will change its mind on the A6 Allroad and sell the new generation here. Elsewhere, it should hit showrooms in the first half of 2019. Other new A6 variants in the works include a sporty S6 and high-performance RS 6.